Time for a swim and relaxation! 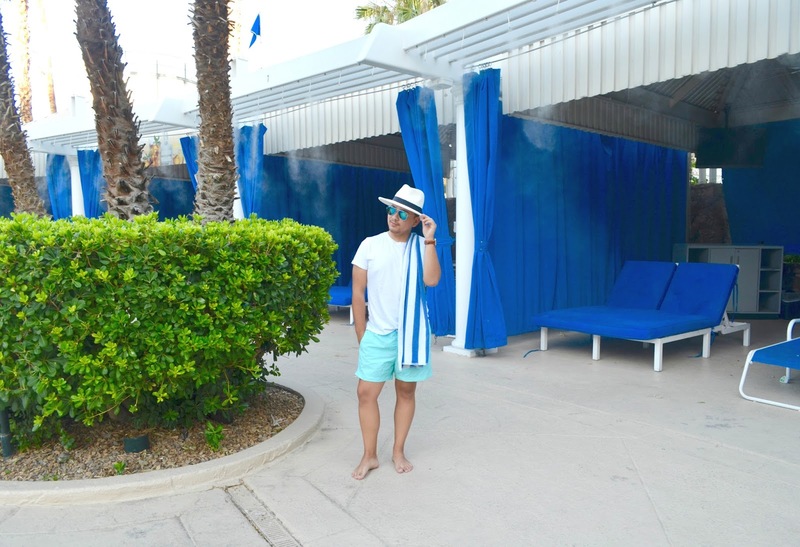 Yes, Las Vegas is hot! 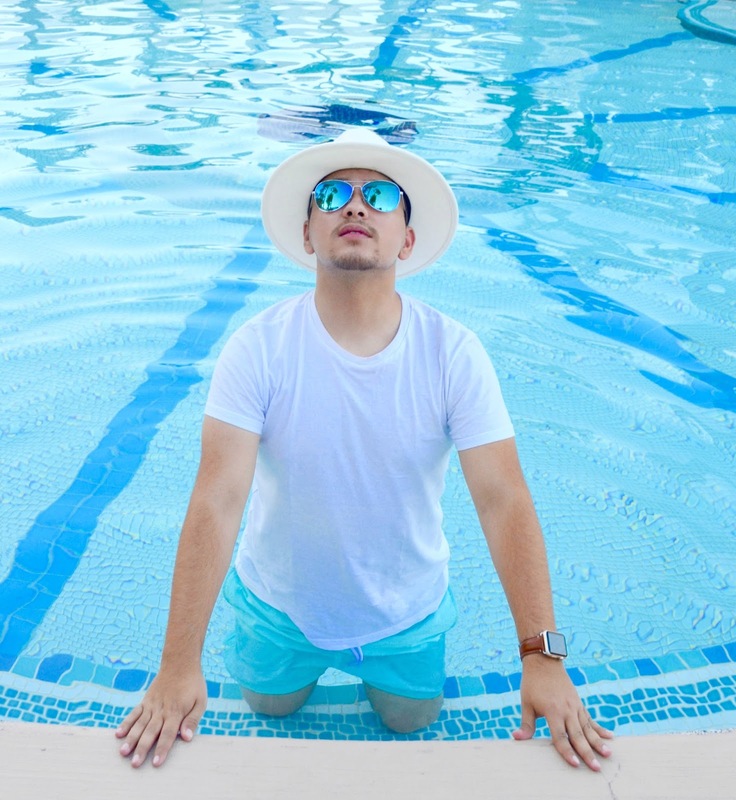 So, what a better way to defeat the heat than by heading to the pool. 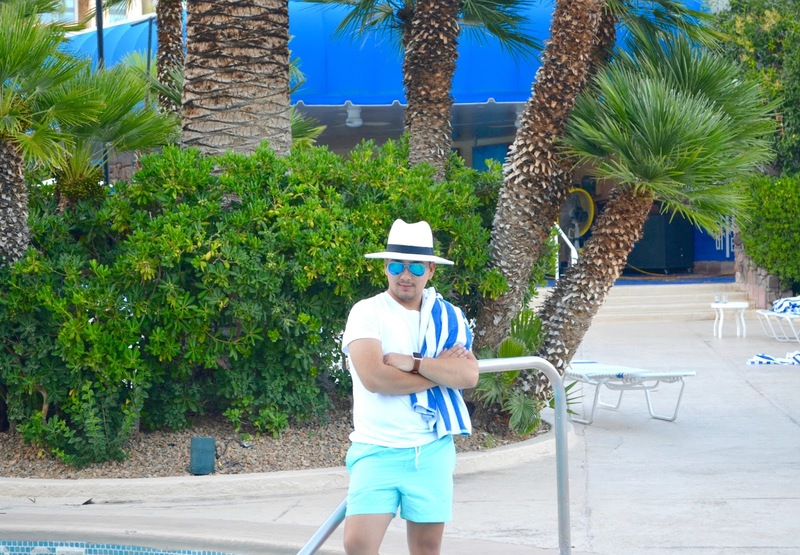 Bally's Blu Pool, was the perfect location to have a swim and relax under the sun accompanied by fresh made margaritas on the rocks. 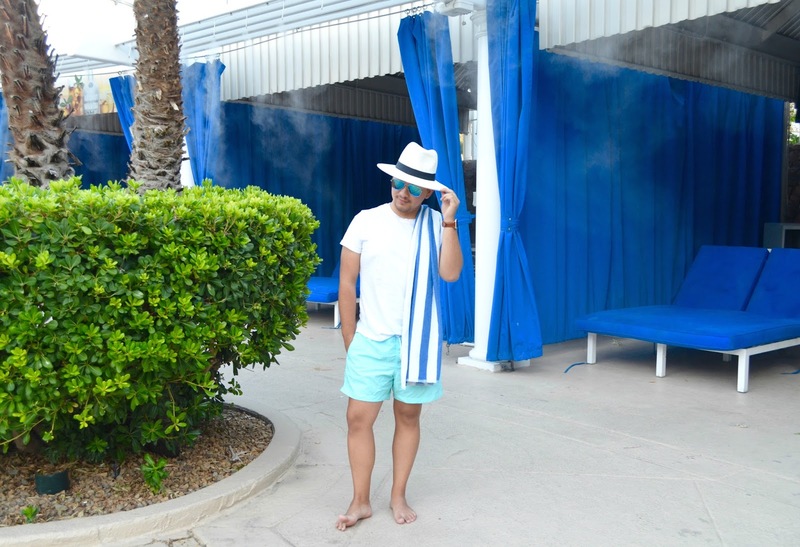 Some hotels in Las Vegas are known for their pools, and Bally's Blu Pool is for sure one of them. 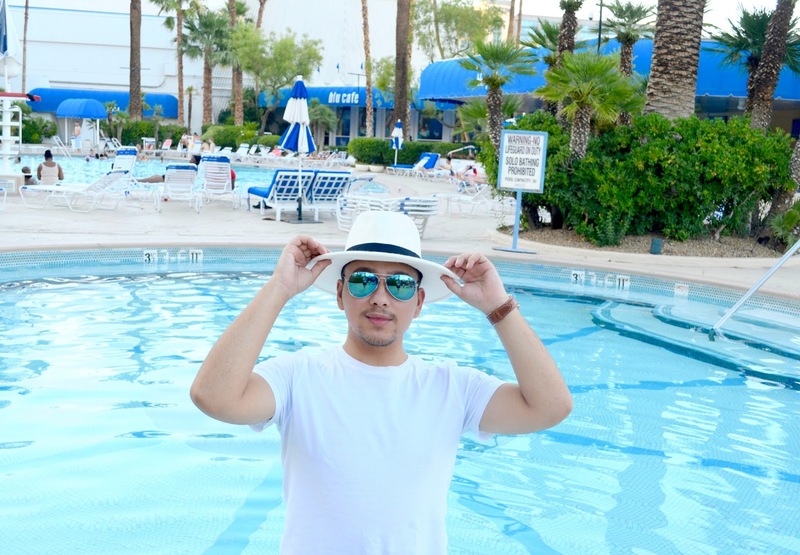 After check-in into my amazing hotel room - See post here - and exploring the strip area of Las Vegas, it was time for a splash and some relaxation time before heading back to my hotel room and get ready for a long crazy night. 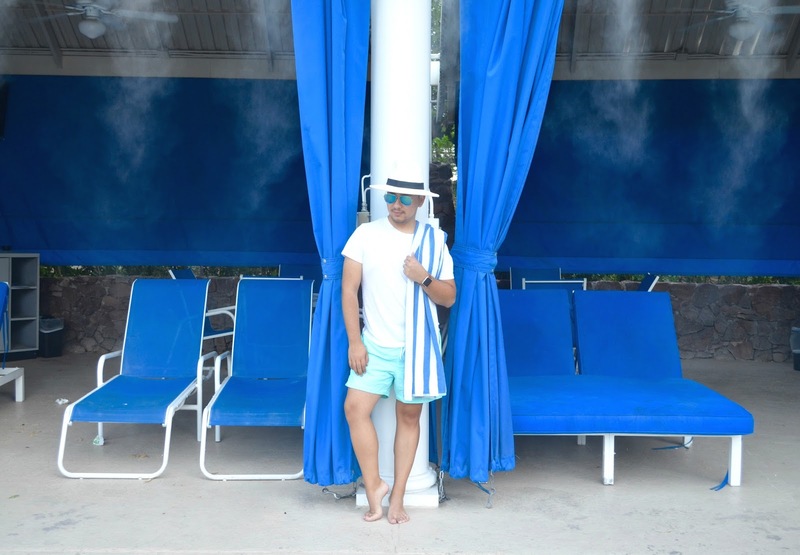 One of the things I liked when I walked into the pool, were the free towels. 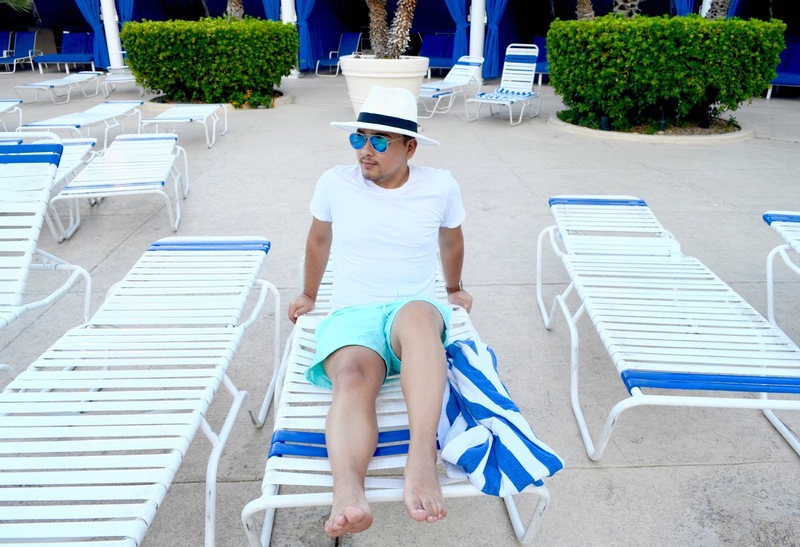 Even though I had to returned them when I left the pool, I was quite happy for that service, since some other hotels in other cities, you have to bring your own towels into the pool. Besides that, the bar made some great margaritas, and that made me happy too since I'm a big margarita drinker. 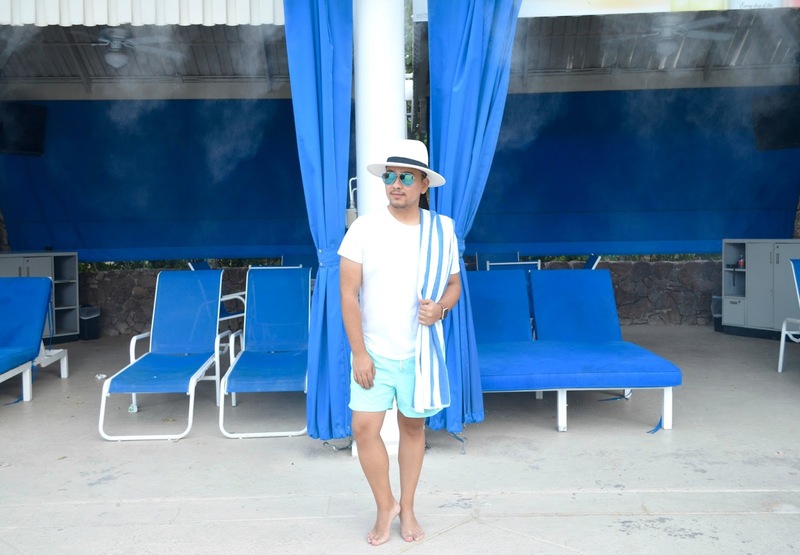 After some great splashes and swims in the pool, I stepped out and relaxed under the sun to catch a big of a tan, which I didn't know I got one till I arrived back in New York. 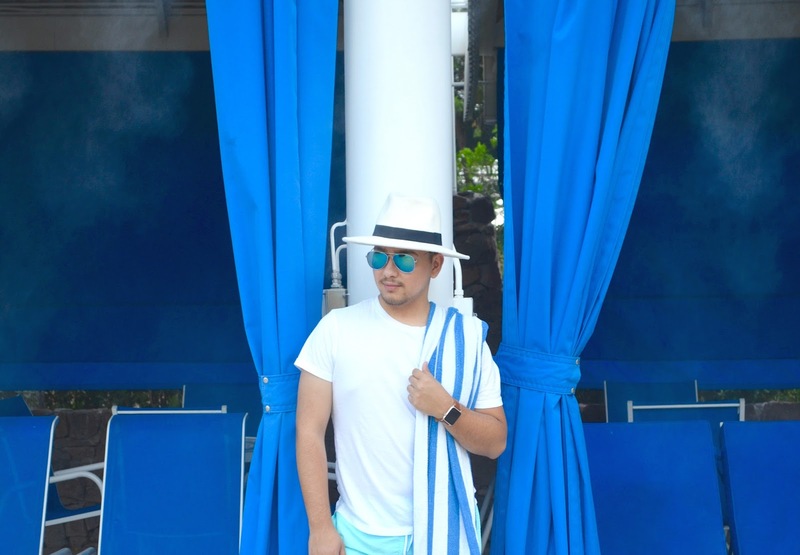 For this look, I'm wearing my new H&M blue swim shorts, along with my H&M white t-shirt. 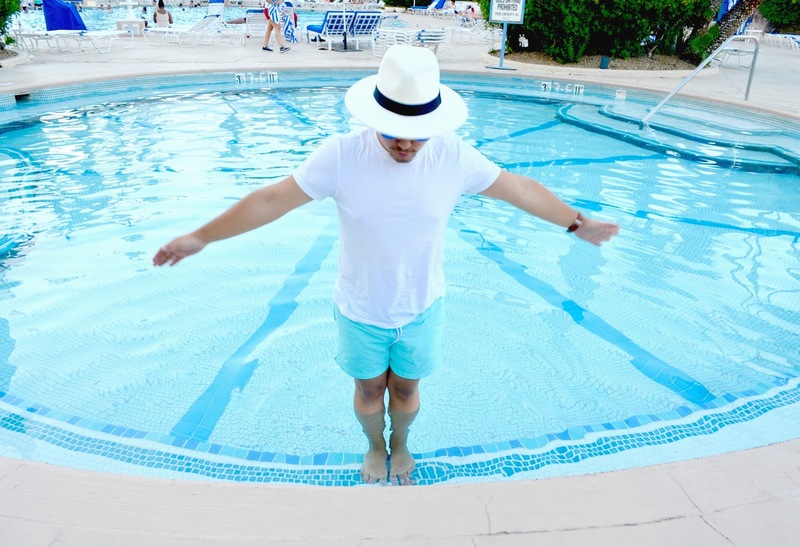 For accessories, I wore my favorite white fedora hat and inspired by the name of this pool, my blue H&M sunglasses. Hope everyone likes this look and I'll see you all in my next post!